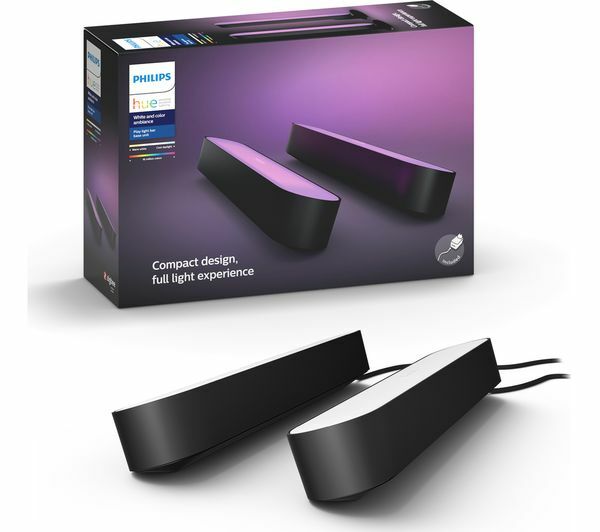 Add some atmosphere to dinner parties and cosy nights in with the Phillips Hue Play Light Bar. 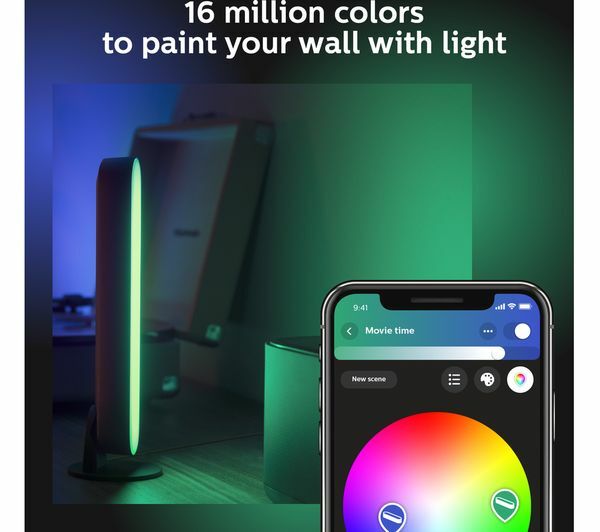 Play around with 16 million colours and set the ambiance with the touch of a button. Or just go through different shades of white light – wake up to gentle, warm tones that become brighter as the day turns to evening. Its discreet design easily fits into any home set up. 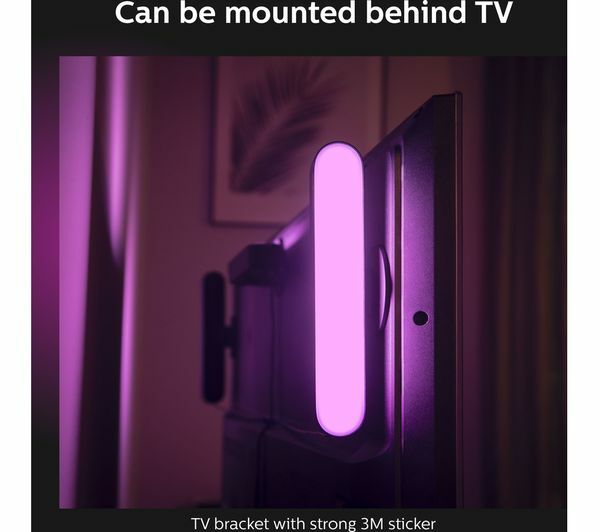 You can place it on the floor to light up a wall, stand it on a shelf to illuminate your photos, or attach it to the back of your TV to create a brilliant backlight that's perfect for movie night. 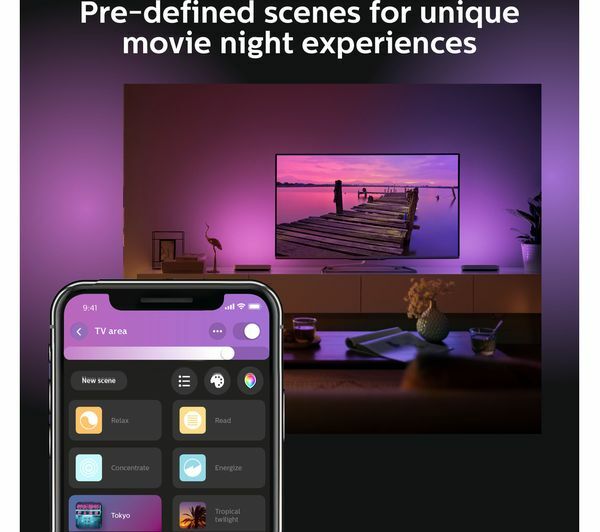 When you connect the Hue Play to your Phillips Hue Bridge (sold separately) you'll get a whole host of smart control options. Control your lights from your smartphone or tablet, set timers, notifications, alarms, and more. 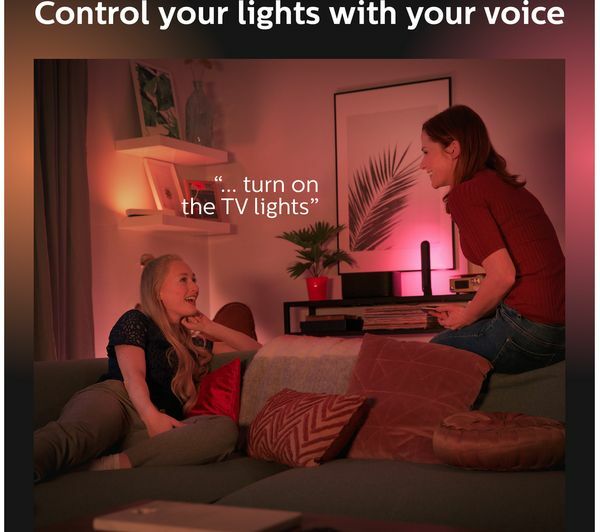 Philips Hue even works with Amazon Alexa, Apple Homekit, and Google Home so you can switch your lights on with your voice. 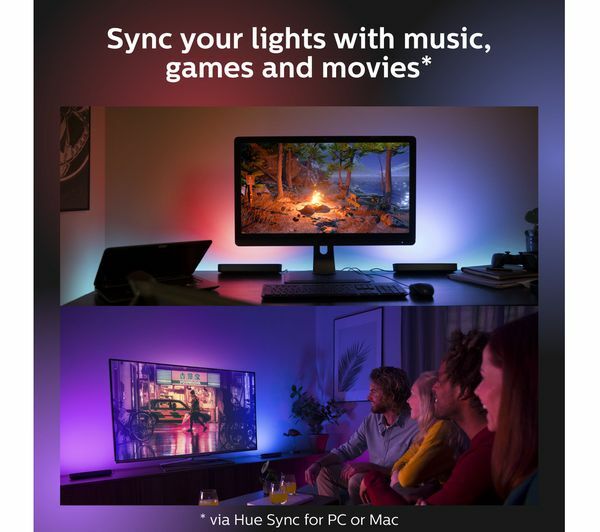 Make your favourite entertainment even more exciting with Hue Sync. 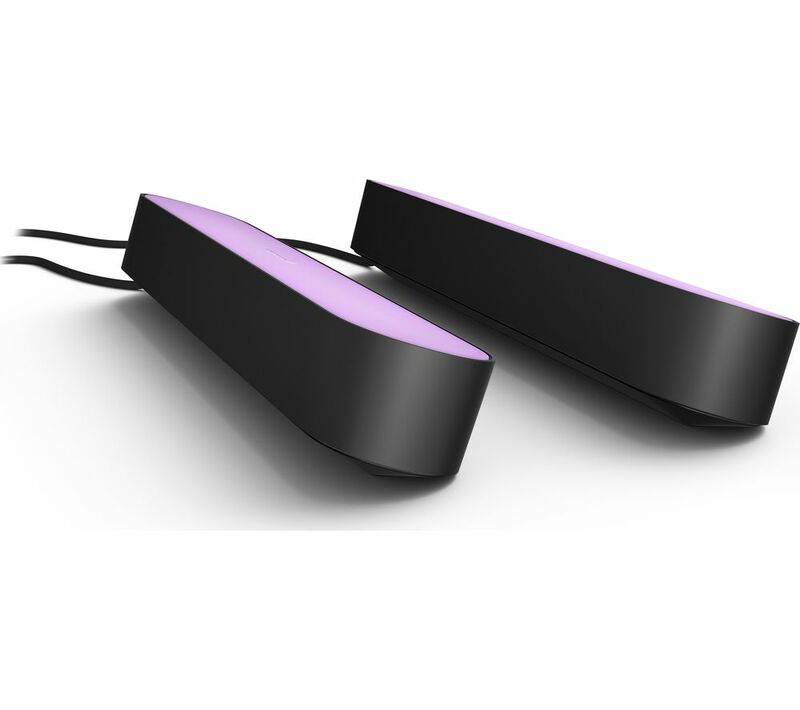 You can sync up your Hue Play so it reacts to different sounds. 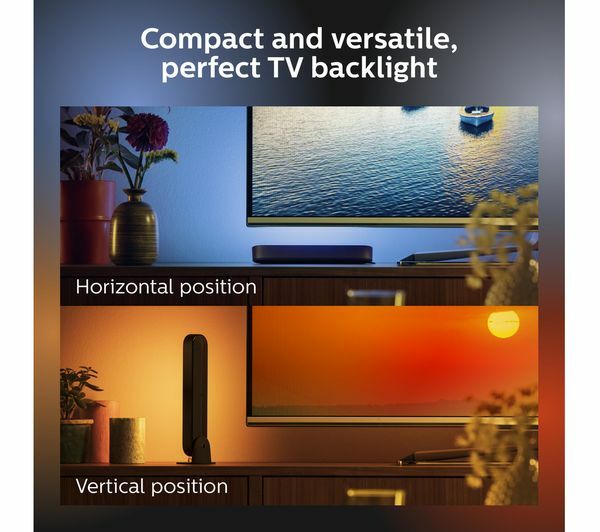 Switch it on when you're having a party and watch how the lights change to the rhythm of music, or see how it adds tension when you're watching the latest hit drama. 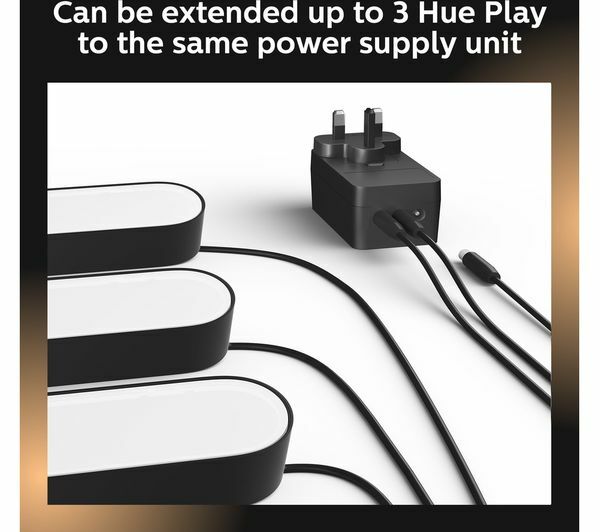 You can connect up to three Hue Play together using just one plug, so not only can you mix and match colours to create the perfect vibe, you won't have multiple sets of wires getting in the way. You can even save your different settings so they're always ready to use. 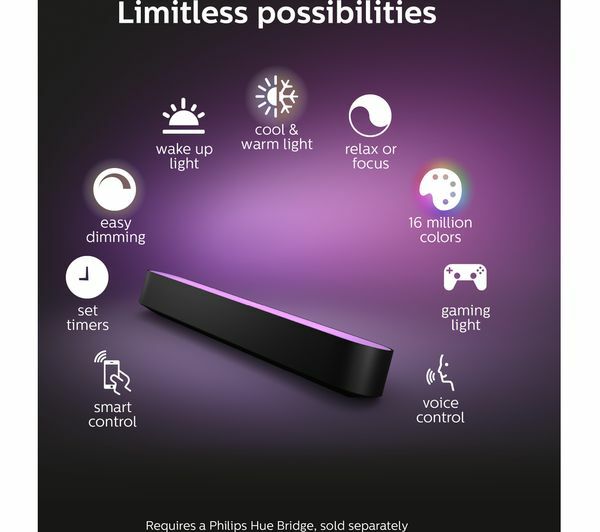 Some features require the Philips Hue Bridge (sold separately). Can control via standard Hue app, Hue Sync app on the PC and Razer Synapse to match PC peripherals. Comes with mounts for wall or back of monitor. 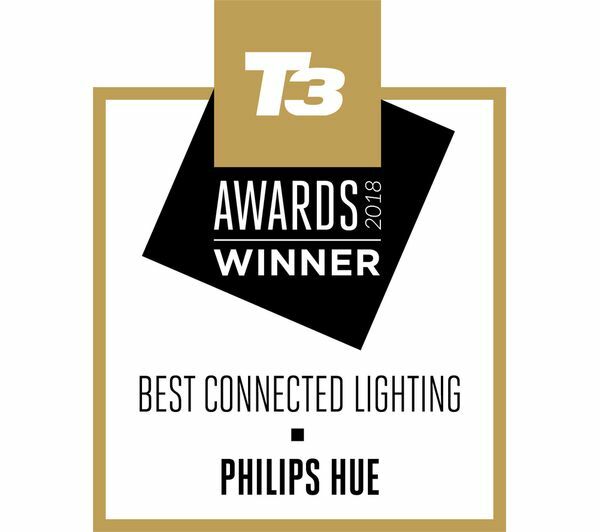 Plug has a socket to add a third light. Only one sticky pad per mount, no spares. Easy to install and setup. Nice and bright.